Málaga surprised us in many ways. 300 sunny days per year, calm beaches, fresh barbecue sardines and a lively nightlife. 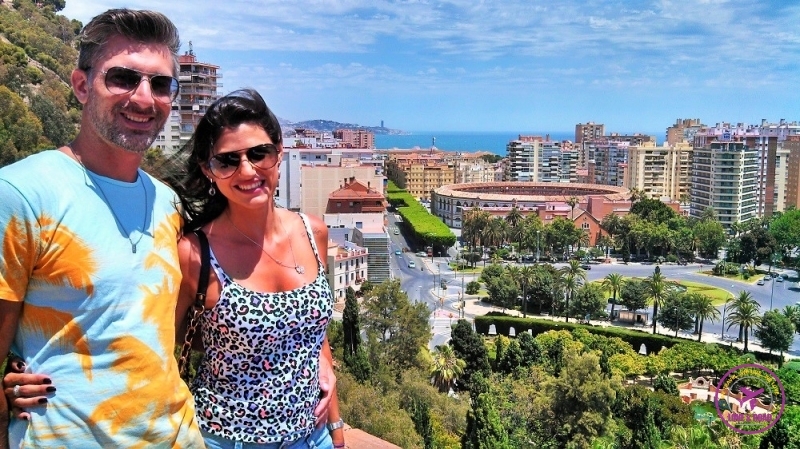 And these are just some of the Top Things to do in Málaga! We knew we would have a great time there, but didn’t expect that would love it so much! To start the conversation let me say one thing: the weather in Costa del Sol is perfect. 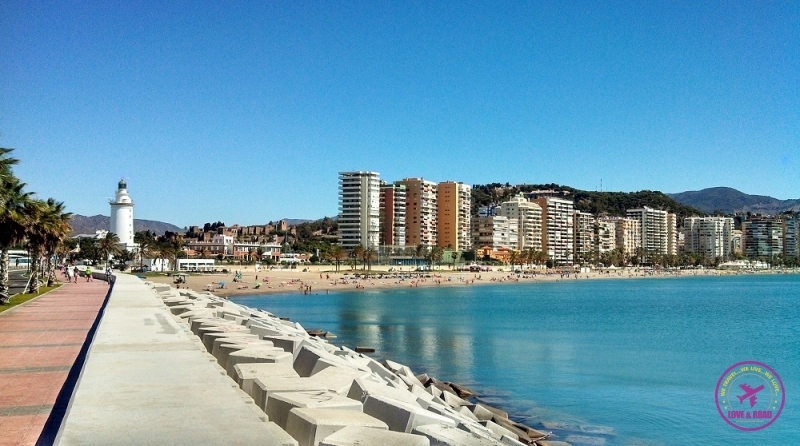 It means that whenever you plan to travel to Málaga you’ll get beautiful and warm days. It´s the sixth largest city in Spain, but when we were there we felt like in a small cheerful city. For me, Malaga is a small and cool version of Barcelona. Perfect for smart, cultural, party and budget travellers. Plan to stay there during the weekend and enjoy the Sunday free entrance to all the top things to do Málaga. 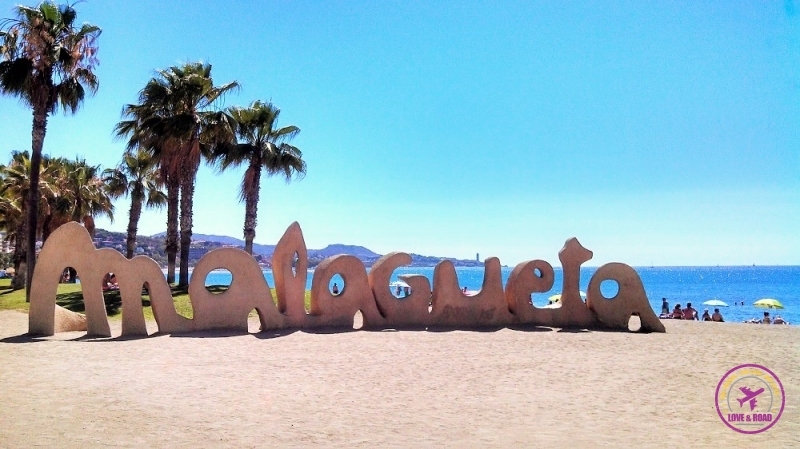 Playa de la Malagueta is one of Malaga´s postcard. Located in the central area of the city, there you can swim, relax under the sun and even do some workout And that was exactly what we did, our first tourist activity was run at beach promenade, do some exercises and enjoy the Mediterranean sea view. Now that we already enjoyed the beach (one of our addictions) lets talk about the top things to do in Málaga. The list is pretty big with attractions for all tastes, ages and pockets. As we are big fans of food and wine, don’t be surprised if eating & drinking is one of the highly ranked activities in our list. Sunny golden streets, cafes, souvenirs and fashion shops. The old town is a mix of antique architecture and a new style of life. Tiny streets packed with restaurants and bars, in every corner some ancient building telling a little bit more about the Spanish culture. 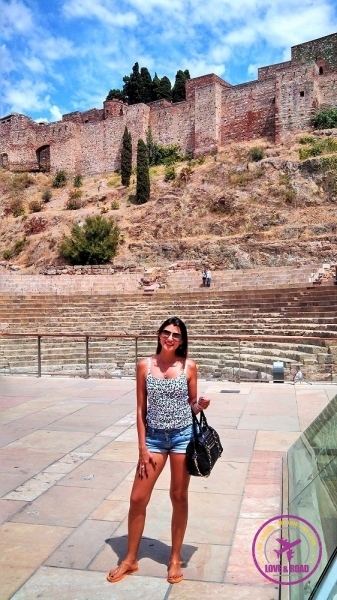 You will never get bored exploring the old town and it´s one of the best and free things to do in Málaga. You must visit Bodega El Pimpi, an icon of Malaga´s social and cultural life. The 18th century building is decorated in a Spanish style with red and white dots. On the walls photographs of intellectuals, artists, international singers and many football players. 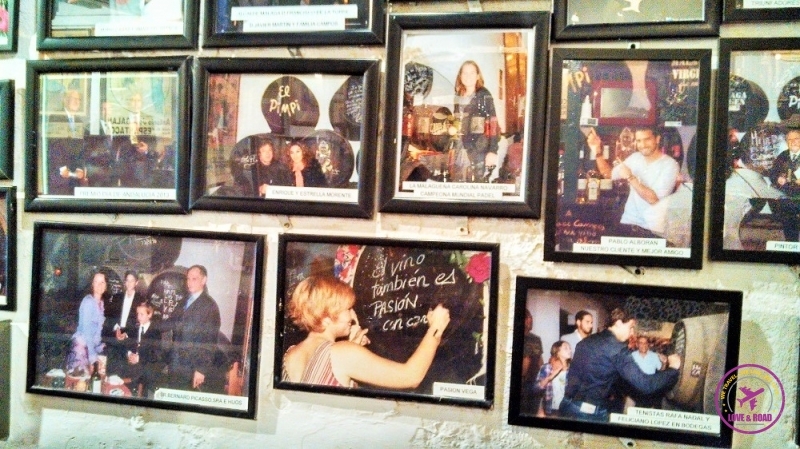 All them visited Bodega El Pimpi and left their signature on the wine barrels. The tradition is kept alive, the new generation of Spanish artists still go there for cultural meets and flamenco nights. Bodega El Pimpi is one of the best places to try the Sweet Wine produced in Málaga. Made of Moscatel grapes the local wine production dates back to the roman empire. The sweet and strong Malaga wine represents the city soul. Some people love it from the first time, others just need to get used to it! After one, two… maybe three glasses of wine you will be ready to discover more things to do in Málaga. This is an imponent building in the middle of old town. The construction happened between 1528-1782. The original plan was to build two big towers, but due to the lack of money they were able to finish just one. Called “La Manquita” which means “one armed women” the church is a great example of Renaissance architecture and it´s so beautiful that you can’t realize there is one tower missing. 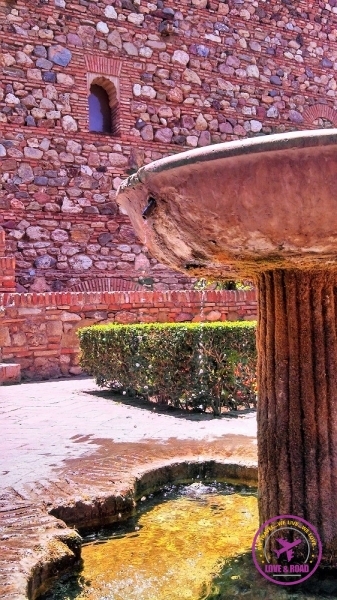 This is the oldest monument in Málaga, and it´s in the heart of the city. Build in the 3rd Century, the theater now is open to the tourists with an interactive exposition, another free attraction in Málaga. 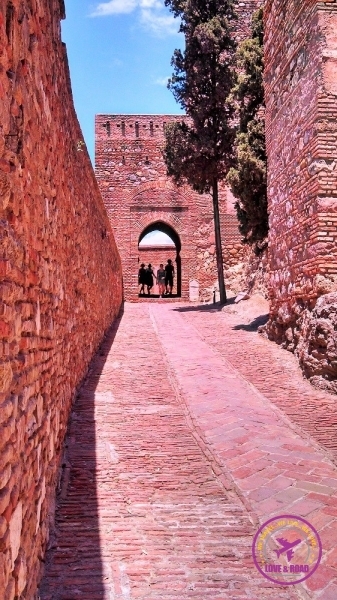 The Alcazaba is one of the best preserved moorish fortress places in Spain. The view from the walls is to die for. From there you can see the Malagueta Beach, the port and the Plaza de Toros, Málaga´s bullfight ring. If you are interested in touradas (bullfight), the season starts in April till September every year. But the big nights happen during Easter time and on August. As I already said: the beaches in Málaga are amazing. Not only for sunbathing or swimming, but for eating too! One of the biggest seaside attraction are the grilled sardines. Walking around the beach promenade you’ll see lots of restaurants literally on the sand serving amazing seafood. To celebrate my birthday (Yeahhh, we were in Málaga when I turned 31) we stopped by one of them and ordered the super famous sardines barbeque. OMG!! It was delicious!!! On our table a big jar of sangria, anchovies, Spanish olives and grilled fish! What a feast!! In 2011 some renovations transformed the port quay into a recreation and commerce center. Shops, restaurants and bars are lined in front of the bay. The Quay 2 was turned into a stunning promenade called The Palm Grove of Surprises. 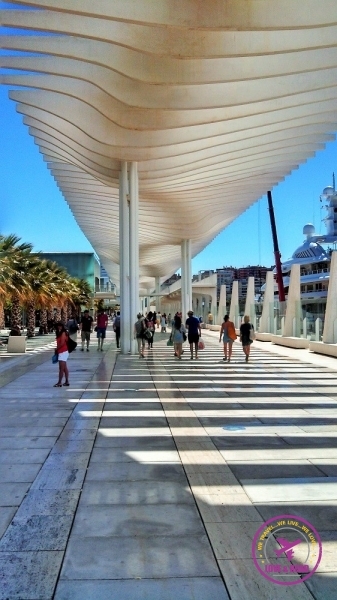 Designed by the architect Jerónimo Junqueira the massive central pergola change the landscape, surrounded by a green garden this area became one of the news attractions in Málaga. Pick one the bars around the pier to enjoy the sunset. The palm tree park lays between the old town and new port. 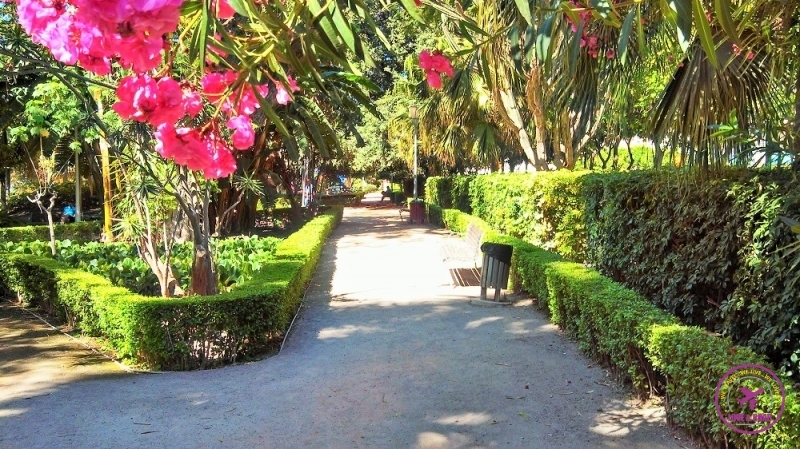 Created in 1890´s the park is famous for its exotic plants and the music shows that happen in every Sunday on lunch time. This is another great and free thing to do in Málaga, go there and have fun with the locals. Still talking about nature (and that is one of the best asset of the city) the Botanical Garden is a highly recommended place to visit i Málaga. It´s a bit far from the old town, but there are regular buses to there. Flowers, sculptures, waterfall and mansions… A beautiful place. We always save the best for the last! Or better, we save the best for Sunday! If you don´t know, Pablo Picasso was born in Málaga, in the heart of the city. 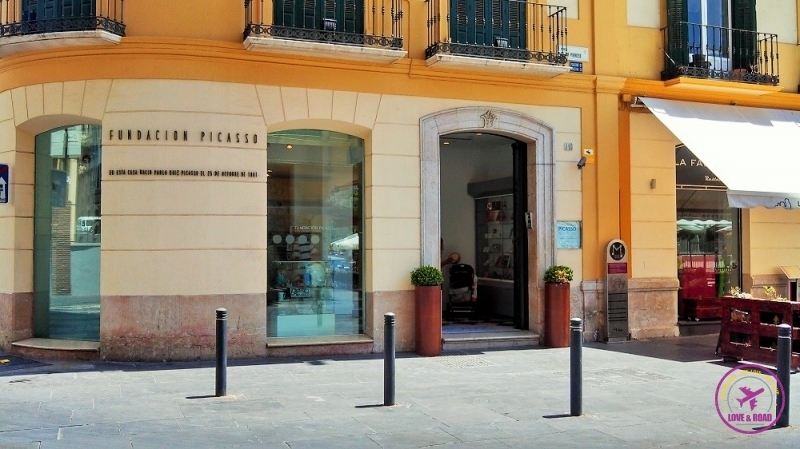 Proud of his famous soon, the city has a museum devoted to Picasso´s. It´s open from Tuesday to Sunday, standard admission is €10, but on Sundays between 6pm – 8pm it´s free of charges. At Plaza de La Merced, in another corner of the old town, you will find Casa Natal, Picasso’s birthplace. The permanent exposition shows his first works, some ceramics he made and many objects from his childhood. It´s really nice to visit and learn a bit more of his life. On Sundays is a top free thing to do in Málaga. You will find a giant list of fried seafood, bread with dips and finger food. Try them all, you won’t regret! 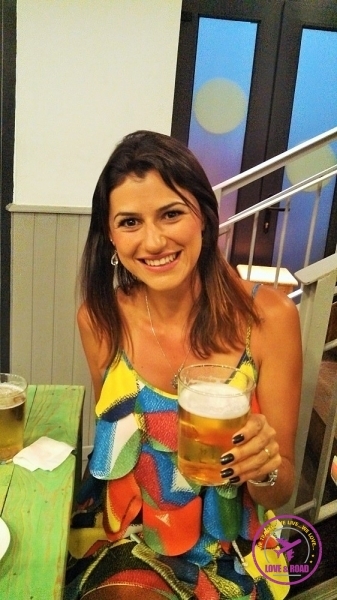 For drink some Spanish wine or a caña (small glass of beer). The dinner is just the start, in Málaga no one goes home early, bars and clubs rock till morning hours. For an affordable hostel in Málaga, but with a clean and cosy room go for Dulces Dreams Boutique Hostel. Petit Palace Plaza Malaga offers a great service, modern rooms and has a superb location. We had an amazing time staying with Nat & Dave (a British couple) in a nice apartment at Plaza de La Merced. They even went out with us to celebrate my birthday! Thank you guys!!! Walk or rent a bicycle! The city is so pretty that you don’t want to spend time inside taxis. Not a big fan of walks? no worries, buses are perfect: cheap and reliable. The bus company website is in Spanish, but it can help you with maps and the line numbers. » How to get to Málaga? Málaga has a busy airport with connection to almost all the other Europeans countries. Also the budget airlines fly to there. (check rates here! )Buses around Spain are great too! We traveled by bus from Cabo de Gata (Almeria) to Málaga and the trip was fine (and cheap). You can get to Málaga by train too. If you love travelling by train consider buying an Eurail Pass. Extra tip: Learn Spanish in Málaga! Imagine: one month learning Spanish, getting to know more about the culture, meeting new people and enjoying the beach. That´s an awesome idea! And it can become even better: we have a promotional code [L&RSOLINGUA] that will give you 10% of discount in all the courses. Sweet isn’t it?! To fall in love with the idea check out Solingua Language School video! We are offering to our readers this benefit because Love and Road believes on Solingua ideas , and we are big enthusiasts of travelling & learning. Also the commercial manager of the school is Rob´s good friend, from Brazilian times, and that make us confident to work with them. Did you visit any place that you wished to have more time to enjoy it? Tell us!! Hope you both are doing well, my list of places to visit is getting bigger and bigger, thank you for excellent recommendations! We are fine, thanks! Already missing Chiang Mai :-(, but ready for some action here in Cambodia! 3 Weeks with no sun in Germany?? OMG you definetly need some serious sunny holidays! By the way, loved your youtube channel, and checked your facebok page too 😉 Congrats! Great read about an alternative to all of the better known Spanish destinations! Some of those pictures are making me very envious (despite typing this from the Caribbean)! Are you writing from the Caribbean? That´s sounds awesome too! We spent a month travelling around the Spanish Mediterranean Coast and we discovered many lovely places. Perfect Destinations for those who LOVE Sun & Sea!! So glad to have found your blog, Natalie! I was at a party on the weekend, and a couple there was bragging about their visit to Málaga! I’d never heard about it before, but they showed me on the map where it is and I’m intrigued. I’ve been to Spain 3x, but still haven’t made it to the Costa del Sol. I wonder if they have any good chocolate?! Malaga is amazing!!!! Such a lovely place! I havent been to Malaga, Spain yet but few of my friends have, already and I heard only great stories and about awesome experiences they had there. I have to visit it! What is the weather like in Malaga now, on December? Malaga is a lovely place. If you have the chance go there on summer time!!! Weather now it`s a bit cold ranging from 10C – 20C. One thing about Malaga and the rest of the Costa Tropical area is that you’ll have the mildest of Decembers. Last December I was still in shorts and T-Shirts. The days are usually sunny. The winters get a wind that can be cold but after awhile you figure out where to go to avoid it should it be blowing. In the old town, they put up a nice display of Christmas lights over the main walking street that goes toward the port. It’s very nice at that time of year to visit. Thanks for the tips and info Ed! Malaga is truly a great destination during summer and winter time, a perfect spot to escape from the cold weather in other parts of Europe! I’ve been to Malaga, but only for a day. Thanks for the tip about Sundays; I’ll definitely plan my next trip around that! It is not that easy to keep fit and looking nice on the road, but Málaga is the perfect place for workout and be outdoor! Great post! I was in Malaga last month and it surprised me too, in a good way! Are you in Málaga now?? Such a comprehensive guide, Natalie. We only briefly saw Málaga after flying into its airport. Clearly, we need to return and spend some more time there. You definitely need to visit Málaga, is such a beautiful and nice place to stay a couple of days or maybe a week if you want to explore the nice cities and beaches around. Glad you loved our city! Malaga has been in the shadows for too long. 2015 is going to be a great year for Malaga. If you come back again, give us a shout. I´m sure Málaga deserves much more travel posts and trip recommendations, it´s a awesome place. We love it, and definitely next visit will be for a week at least. We don´t have plans for the next summer, but if we go to Spain I would love to meet you! Lots of things to do in Málaga. 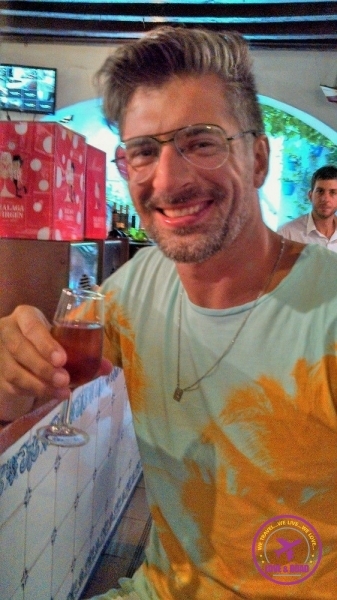 I love sweet red wine so I will visit Bodega El Pimpi for that and I would love to try those BBQ sardines. Málaga is a perfect destination to relax and enjoy a good life! For me Malaga is a small and quiet version of Barcelona. The beach, the party, the food and the culture. It has everything with a cheaper price tag comparing with Barcelona. Ohhhh everyone keeps rubbing it in our faces what we are missing out on in Malaga. 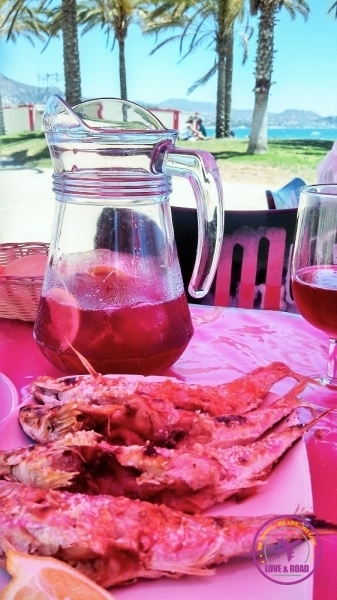 Look at that seafood BBQ and with sangria – heavenly!!! I am bookmarking this post and I swear next time we are in Europe – we WILL make it to Malaga! Megsy you NEED to go to Malaga, definitely!!! It’s such a great atmospheres that I could live there! And don´t even start talking about food, the seafood BBQ is just the starter! Safe journey, how to see you soon! You had me at ‘small and cooler Barcelona’ haha! I’ve always wanted to go to Malaga but didn’t know too much about it so this was really useful. I wanna drive around all of Spain so I’ll save this for future reference! Drive around Spain… Now I’m jealous!!! Malaga is really nice, and as you are by car, also check out Cabo de Gata Natural Park, we have been there last year, three days discovering wild beaches, hiking with sea view and relaxing… Mojacar is a beautiful tiny village in the park… Check it out! Malaga looks amazing! Well Spain in general is epic, and there are so many places to discover and explore. 😀 My boyfriend loves this country and I look forward to our adventure next year. Spain is amazing, no doubt. But the Mediterranean coast has something special, unique… We spent one month travelling around there and we couldn´t get enough! You have inspired me to hit the beach and brush up on my Spanish! What a beautiful place. If you have the opportunity go and visit!! Hi love birds! Thanks for list of the things to do in Malaga. I have there some friends but I thought it’s rather smaller town without too many sights. Now I see you explored it quite a lot! I will keep your list on mind then I go there. PS: Interesting that the cathedral is smaller than planned. If you have friends in Malaga don’t waste time and enjoy the summer there. The city is really nice, a mini version of Barcelona! Great post! In the UK Malaga is kind of seen as a beach destination which obviously after reading your post is so unfair – there are lots of things to do in the city as well as having a beer on the beach of course! You are right Sophie, most of people think about Malaga as just a beach destination. But actually the city is super lively, full of culture, attractions and history. Really worth the visit! 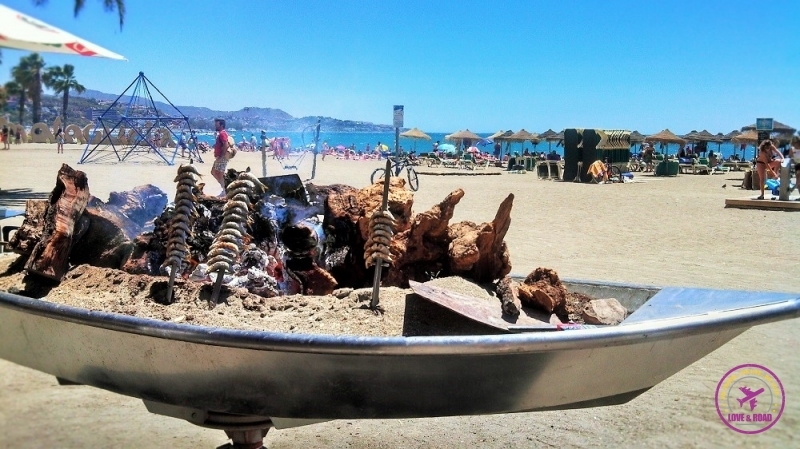 Spanish food and amazing sea views followed by a siesta sounds like the perfect afternoon! Adding Malaga to the ever-growing list of places we need to hit up in Spain 😀 Thanks for the info! Spain is full of amazing places, especially in the mediterranean coast. 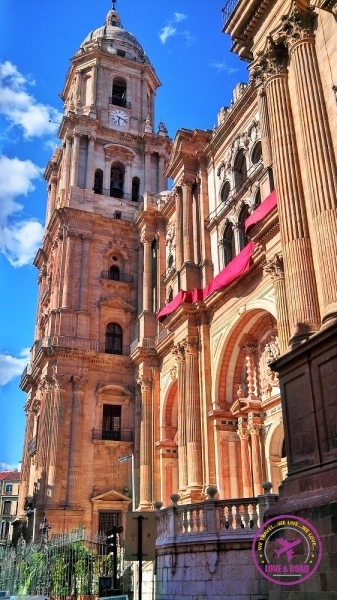 Málaga is on my list the places I want to go back, maybe next summer! Enjoy Málaga Sandy, it´s a beautiful city and full of (free) things to do!! I´m sure the weather will be great not so hot as when we were there! You are welcome! Enjoy Malaga! Glad to know that you enjoy this beautiful and sunny city! Hey there, thank u for this very informative n doable post. We r 2 families going to marbella with toddlers! Do u know if the bars n pubs r child friendly? We dont mean to take them partying, just one odd night out for some drinks ☺️ mommy gets thirsty too ? Believe it’s better checking on TripAdvisor and compare the reviews. Unfortunately, I didn’t pay attention if the ones we visited were kids friendly. Hi Natalie, great artikel about Málaga. I hope you will return one day to this lovely town in Andalucia. When you do, don’t miss out a Sightseeing Treasure Hunt. Its the only tour where you can discover Málaga on your own pace, take time to enjoy the beautiful places you are visiting and with a bit bunch of luck, you will find the secret treasure at the end. We miss Malaga so much!!!! If you already have an AirBnb account the discount can’t be applied, if you are new to AirBnb you can get your discount on this link. First Trip to Istanbul? Here is All You Need to Know!